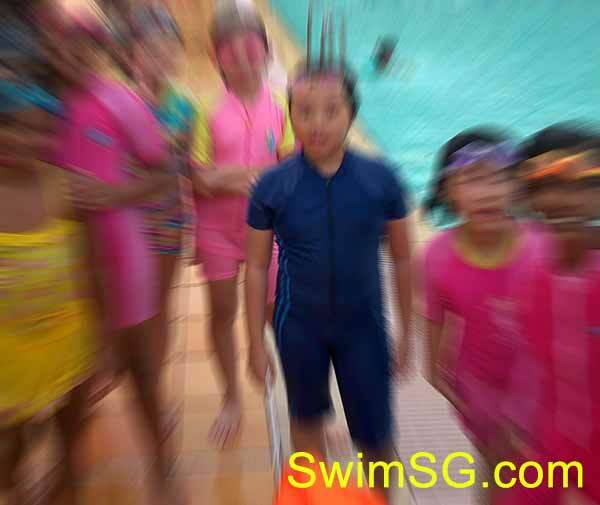 Do u know what is the common question that we will ask our learner when starting swimming ? Well I would ask them if anyone has taught her child swimming before. 89% of the students come for the first lesson without any fear. About 10% of the students who tried learn swimming themselves or parents DIY teach their own children swimming, can incur fear and have water-phobic. The main reason is bec most parents are not professional coaches themselves and when it come to coaching swimming, may handle their children in the clumsy way and result in fear of their child. Adults learner who try to learn themselves may rush it through without solid foundation. Coaching swimming is best to handle by our professional coaches and we assure that you will have a good experience with desire learning skills outcome. Don't restrict to certain lesson category, choose the best swimming coach instead. Key this word below "online"
Whether a lady or male instructor is good ? No preference actually. Male instructor normally is more pro in result-delivering as there are certain milestones require for firmer approach to overcome. Ladies coach soft approach maybe good if student is very shy. Best practice is whenever holding hands etc required, tell or ask first but for babies may require greater security. Choose individual or group classes ? Either way will do. If child or adult learners wish to have more attention, greater flexibilities, learn faster, individual or 2 in a group will be good. Holiday vacation intensive swimming lessons at Hougang, Sengkang Anchorvale, Bedok, Bishan, Woodlands, Tampines, Serangoon, Pasir Ris, Jurong, Punggol, Clementi, Yishun and Delta Swimming Pool are conducted on March, June, September, December during the school holiday. Children and adults will have a good work-out and at the same time pick up a new skill that is beneficial for a life-time with good recommended coach. East West learn to swim classes in Singapore for senior citizen and teenage in preparation for serving the NS are welcomed. 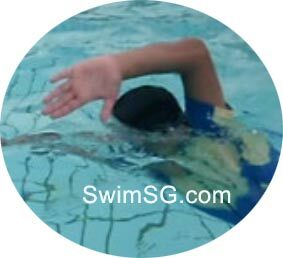 Condominium Small Group Swimming lessons for kids, toddlers, adults are conducted around Singapore for weekday and weekend. Qualified coaches will be available to teach at your preferred private pool close to your house in the morning, afternoon or evening. Ladies female instructors and family swimming can be arranged as well. Timing is at your convenience. Beginner SwimSafer, advance SSPA or Lifesaving lifeguard swimming programmes are available to take up. Can my 4 years old beginner daughter starts learn swimming at Bishan swimming pool ? Yes average 4, 5 years old kids start joining smaller group or group swim classes. For more details on customised teaching or to overcome fear of water, recommend individual classes for best results. 6,7,8 years old swimming classes also available. My son used to have fear in swimming & we worried one day if he fell into the pool accidentally, might not survive. I am surprised after a few lessons at yio chu kang swimming pool, instructor Victor helped my son to overcome his fear and addressed our concern. We thank him for coaching my son to swim. Can recommend a swimming coach for my wife & myself at hougang ? Yes let me know your convenient times and places to swim. If the time is off busy hour, our qualified coaches or myself can take up and provide good teaching. Never too late to swim. I worked in the air conditioned office for many years and now retired, poor in health. After i signed up for swimming classes at woodlands pool with coach Steven, my health improved greatly and i thank steven for fine tuning my lessons to suit me. 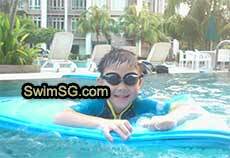 I greatly recommend SwimSG swimming lessons. I approached many coaches for my 3 years old kids swimming lessons. Most said too young and can't take in. I happened to speak to Coach Steven at Jalan Besar Swimming Pool. He has many different custom-made floats catering for young kids. During his classes, my daughter was able to gain more confident in swimming through floats custom-made to her size. Please help, I signed up an inexperienced coach at Sengkang in a group of 10 pupils for 3 months and my son show no progress. In every lessons the coach only attended to my child 3 times in that hour ? Can join smaller group or individual classes with experienced qualified coach. Fee slightly higher. My wife and I just came from india and very scare of water. We did an online search and found SwimSG. Coach Alvin was assigned to us at Jurong. He is kind and professional in teaching us to swim. In about 3 months time, we were surprised that all our fear has clear and we able to enjoy the sports that help us to relax after a day work. We don't compete in fee. We compete with quality & good services. We value our customers, take note of feedback. Details and follow up are made known to our students before start. Kids swimming lessons at condo pool in Singapore. Learn at your private swimming pool. 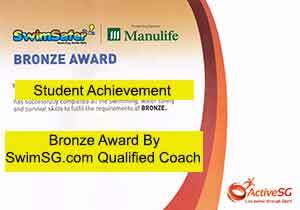 Student Achieved Bronze swimming certification of SwimSafer. Can i request for lady coach ? Yes, but lady coach fee is higher. In fact, there are nothing complicated for man or lady teaching. Start students holding by the side of the wall, kicking. After kick with a board. Later smaller floats and finally able to swim. Questions and concerns are always addressed. 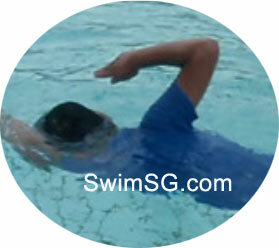 Singapore Swimming stroke correction. SwimSG incorporate in Republic of Singapore. Poly Swimming classes also available. I interested in 2-1 semi-individual classes at Tampines Swimming Pool, can recommend a good coach ? Yes for semi-individual classes we can recommend a good coach to teach. After if more confidents can join group lessons. Is Hougang or Sengkang Swimming Pool better for my kids to swim during weekend ? Hougang Pool has longer teaching pool for children. Sengkang Pool half of it is sheltered, less exposure to sunlight but colder. Depend on your needs. Pasir Ris Swimming Pool weekend will it be crowded for swimming lesson ? Do i need to pay for entrance at Serangoon Swimming Pool for swimming lessons ? Can use activesg for entry or can buy a monthly unlimited pass at a concession rate. Birth cert for activesg may be required for verification during registration for children.